A newly-released action figure for Avengers: Endgame reveals that Nebula will be getting an upgrade in the highly-anticipated movie, which finally arrives this month. 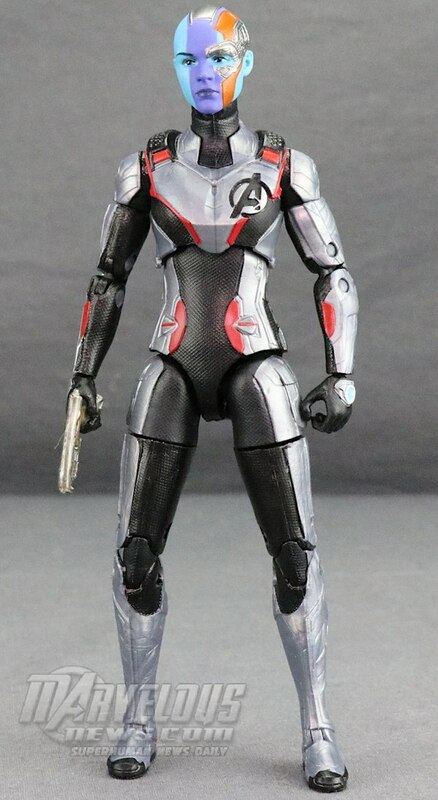 The Target-exclusive Marvel Legends Nebula toy depicts the last daughter of Thanos in her white Quantum Realm suit, as first glimpsed in the film’s second trailer. Something we didn’t see in any of the trailers, however, is a new golden cyborg implant on the left side of her face. This same addition is also on display in Nebula’s Funko POP! figure, which likewise captures her in a Quantum Realm suit. You can see the two action figures for yourself below, but in yet more evidence that the Endgame trailers have been crafted with the utmost care to avoid spoilers, the only scene we’ve seen so far of the character in one of the matching white outfits the team is set to wear is framed so that we can only spot the right side of her face. All the other glimpses of Nebula in the marketing come from earlier in the movie, mostly while she’s stuck in space on the Benatar with Iron Man. 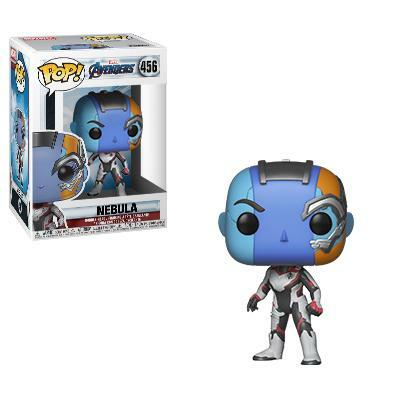 So, what happens to Nebula to require a new facial implant? Well, she might need a replacement after she gets injured, much like Yondu and his head-fin in Guardians of the Galaxy Vol. 2. However, she’s always seemed pretty durable in the past. It’s more likely that this fancy new accessory is part of her Quantum Realm upgrade, then. For instance, War Machine appears to have new armor. Presumably all of the Quantum gear is designed by Tony, so this could be too. Fans of the character will no doubt be hoping that this new implant might give Nebula the edge she needs to kill her evil father Thanos at last. Out of all the living characters, she has the most personal reason to hate him, so it’d definitely be fitting. But she’s not as much a headline hero as Captain America or Thor, so who knows? Regardless, all will be revealed when Avengers: Endgame hits cinemas on April 26th.